We covered Dana and Matthew’s wedding back in 2010 and in additional to requesting a session for their 5 year anniversary they wanted to include a family session. Here is their split session at Eleanor Tinsley Park on Buffalo Bayou. We first met Abby and Tim back in 2012 when we covered their wedding. Now they have a recent addition to their family, the adorable Hallie. We covered Michael and Scott’s wedding in Beaumont back in 2012. 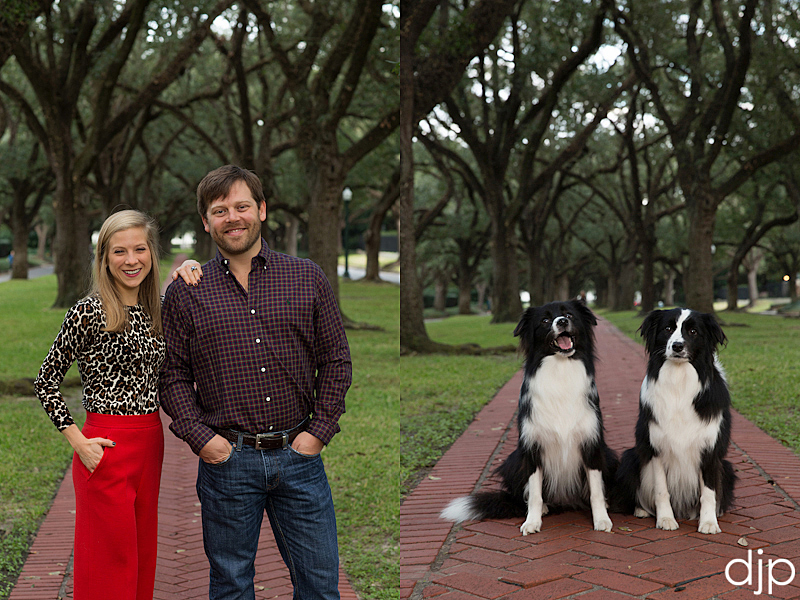 They contacted us recently to get holiday family portraits with their two four-legged children on the esplanade of South Boulevard here in Houston. We first met Julie nearly 20 years ago. Since then we covered her wedding, newborn photos and updated her family and business portraits over the years. She wanted to get a family portrait that also included her daughter’s senior mini session as well as some of her son with his passion. We met out at Eleanor Tinsley Park on Buffalo Bayou to accommodate her requests. 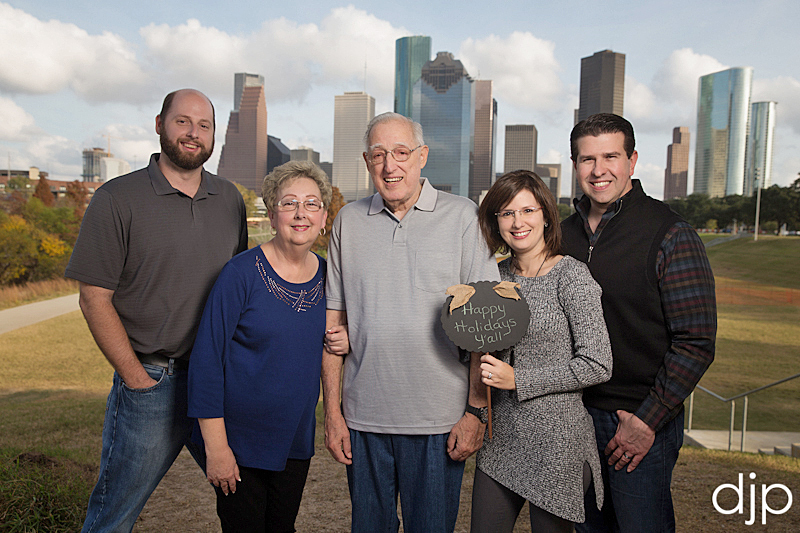 We photographed this family at their home recently. This was for the parents of a past bride and current client whose wedding we covered back in 2013. We first met Michelle and Erik back in 2006 when we were brought in to cover their wedding. It’s certainly been awhile since we had a chance to catch up with them and their lovely daughter Brooke. They are expecting their second child any day now. We would like to introduce you to Baby Ellie born to Aubrie and Randy this May. 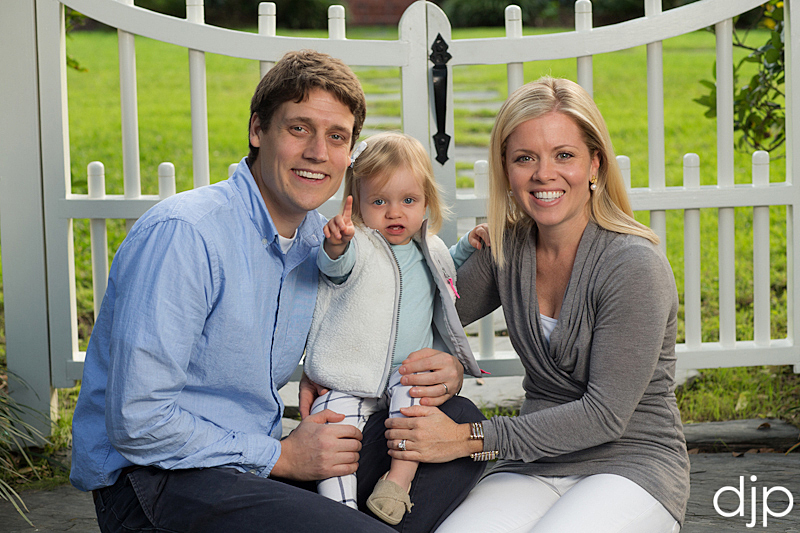 She was a charm to photograph at her family home and we look forward to watching her grow. We first met Michelle and Chad back in 2009 when we covered their wedding. The session was to celebrate the first birthday of their daughter Morgan at their home in the Heights. We have photographed all three of Sunday’s children’s weddings over the past several years and to celebrate the first birthday of the first grandchild (and great grandchild) we went on location for this four generation portrait of the girls. Here is our annual family session for Jill and her kids. They love the more casual approach to their session and capturing the natural expressions and actions and of course playing at Hermann Park doesn’t hurt either. © 2002-2018 D. Jones Photography (713) 202-3633 Houston, Texas|ProPhoto Photo Theme by NetRivet, Inc.